Yes. Indeed it was. But growing up in California, Marie Callender’s was indeed a real bakery with a storefront cafe and all! I had only then realized that the rest of the country would only know it for the frozen chicken pot pie at the grocery store. 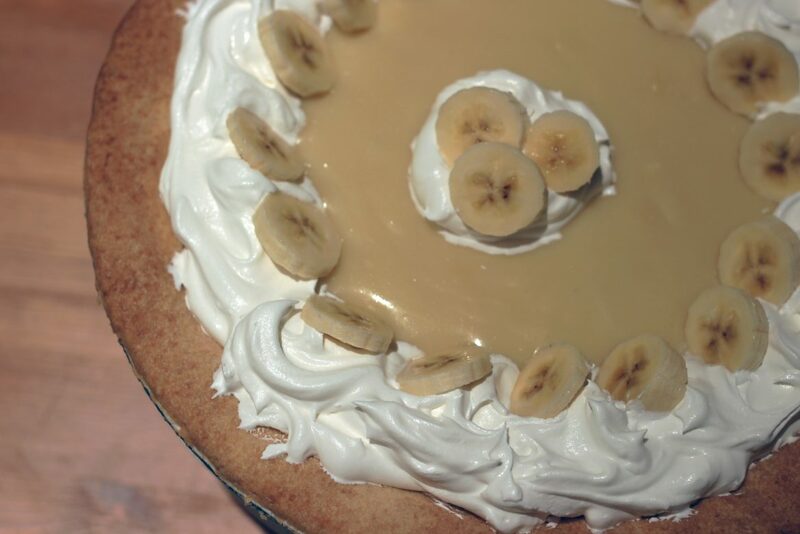 :P In any case, my favorite pie growing up was their Banana Cream Pie. To say I loved it might be a understatement. 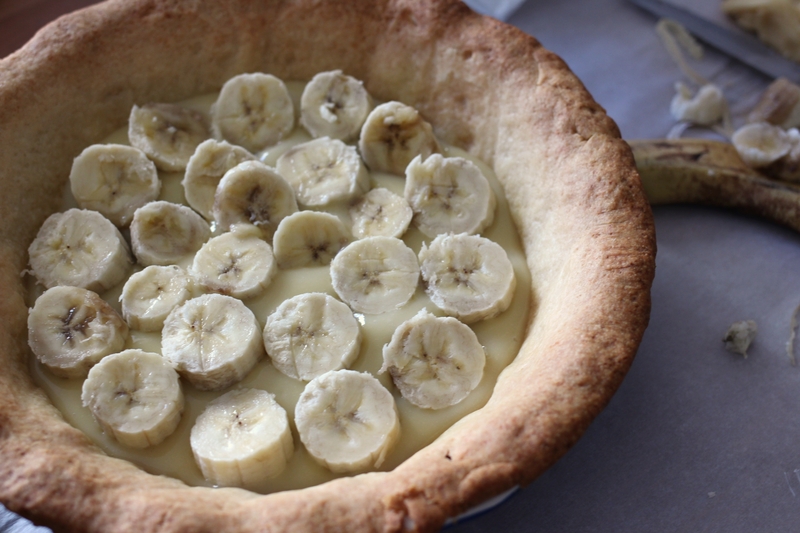 A tender crumbly crust, creamy custard, bursting with flavorful and ripe banana pieces! And let’s not forget the heaping pile of whipped cream and almond slivers to top it all off. I’d by lying if I said I no longer craved it. 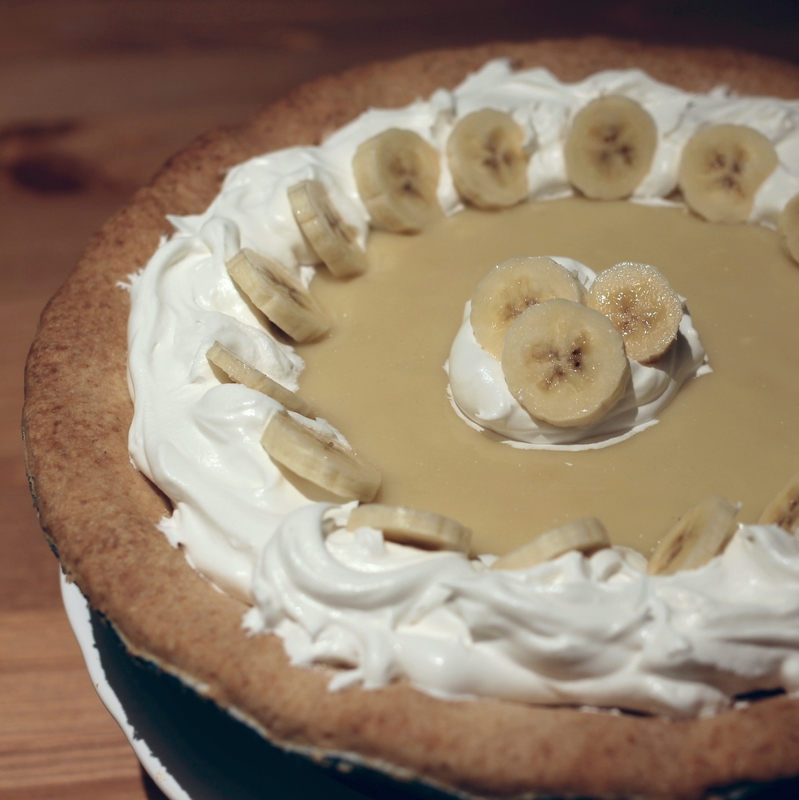 But my newly adult-ish life has made me more acutely aware of the “bad” things that go into Banana Cream Pie. So, I decided to lighten it up and make my own homemade version–one that’s also agreeable with my now lactose-sensitive tummy. 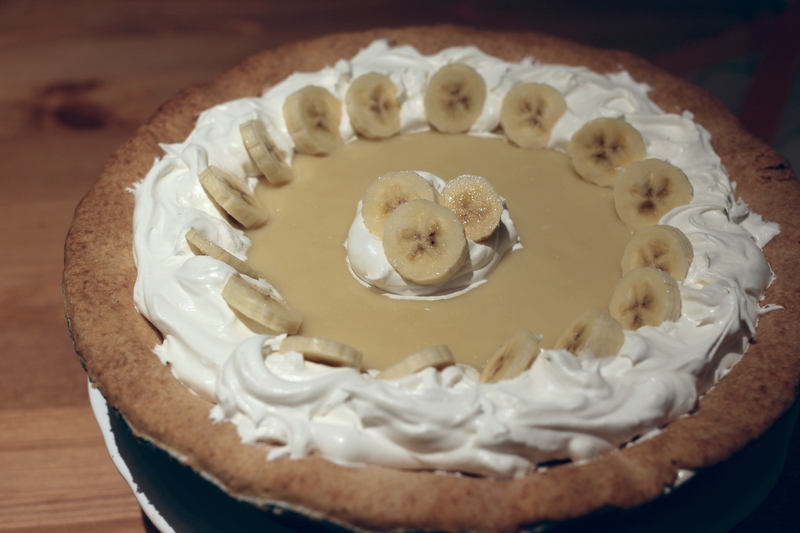 A lighter, dairy-sensitive-friendly Banana Cream Pie. A creamy vanilla filling envelops fresh banana slices in a flaky pastry crust. In a food processor, pulse together dry ingredients (flour, sugar, salt) to thoroughly mix. Add cold, cubed pieces of butter and blend until crumbly. Starting with 2 Tbs ice water, add to flour mixture and blend until dough starts to form and stick together. Dough should collect into a ball. Add ice water 1 tsp at a time if dough is not sticking and pulse. 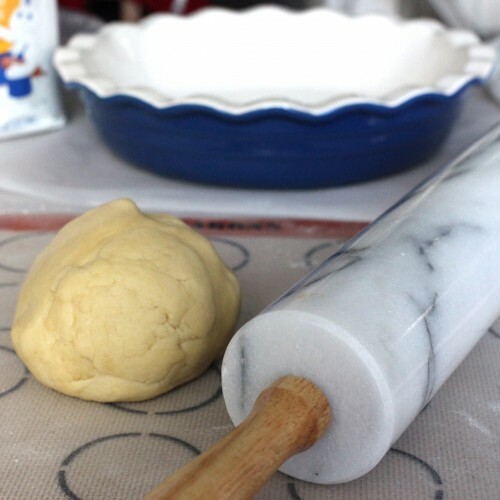 On a prepared surface with light flour, use a rolling pin to roll out a large circle, picking up the dough, flipping, and rolling a few times before the dough becomes too thin to flip. This ensures that the dough does not stick to the surface. 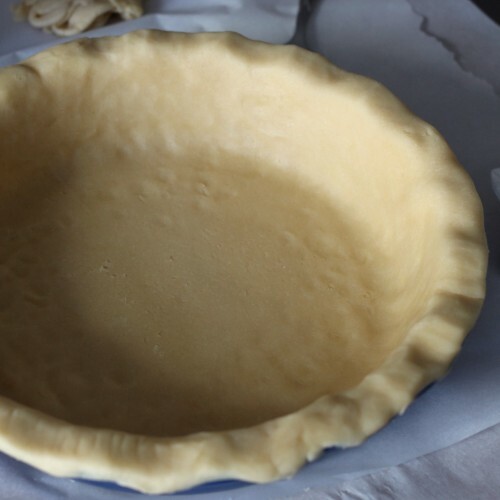 Cover pie pan with rolled dough and form to pan, pressing against the base, sides, and edges. Blind bake the crust with pie weights for 15-20 minutes. Remove pie weights and continue baking for another 5-10 minutes until the base is a golden color. 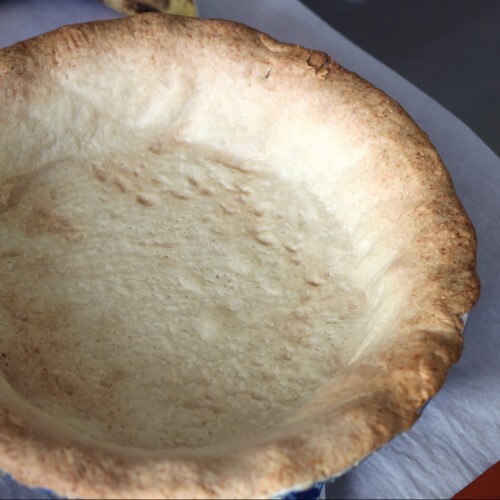 Cover edges of pie crust if starting to brown to prevent burning. Remove baked crust from oven and let cool. In a saucepan, whisk together dry ingredients (flour, cornstarch,salt, sugar). Over medium heat, stir in coconut milk until well combined. Continue mixing until bubbly and mixture starts to thicken (8-10 minutes) and reduce to medium-low for another 2 minutes. Remove from heat and whisk in a quarter of the thickened mixture into the beaten egg to temper. When thoroughly mixed, whisk the egg mixture back into the saucepan. Add in butter and vanilla extract. Return to medium heat for another 3-5 minutes, stirring intermittently. Remove from heat and let cool ~10 minutes. Pour 1/2 pudding mixture into prepared pie crust. Using 3 of the bananas, cut into 1/2-in slices and layer on top of the pudding mixture. Pour the remaining pudding on top, covering the layer of sliced bananas. Refrigerate for at least 2+ hours (I refrigerate overnight to ensure the pie sets). When ready, remove from refrigerator and top with cool whip (or good ol' fashion whipped cream if you're not dairy sensitive) and sliced bananas from the last banana. Cut into pieces and serve chilled! Best enjoyed within 1-2 days of preparing. * College roommate claims that Bakers Square based out in the Midwest was the best. 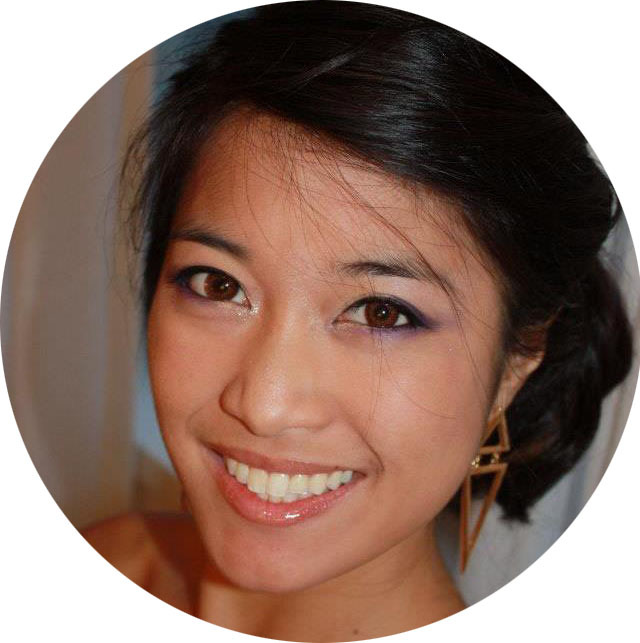 « Flutter Sleeve Navy Dress and Cultured Pearls + Giveaway Winners!